Chatrium Hotels and Residences is wholly dedicated in protecting and preserving the wonderful world we all share through the group’s “Think First Think Earth” corporate social responsibility program, encompassing a wide range of projects and initiatives designed to have a minimum effect on our environment. As part of this ongoing effort we are delighted to introduce our brand-new range of luxury eco-friendly amenities available in every Chatrium property featuring SLS and paraben-free products and packaging made from cotton sachets and recycled materials, thus ensuring our global footprint is at an all-time low. 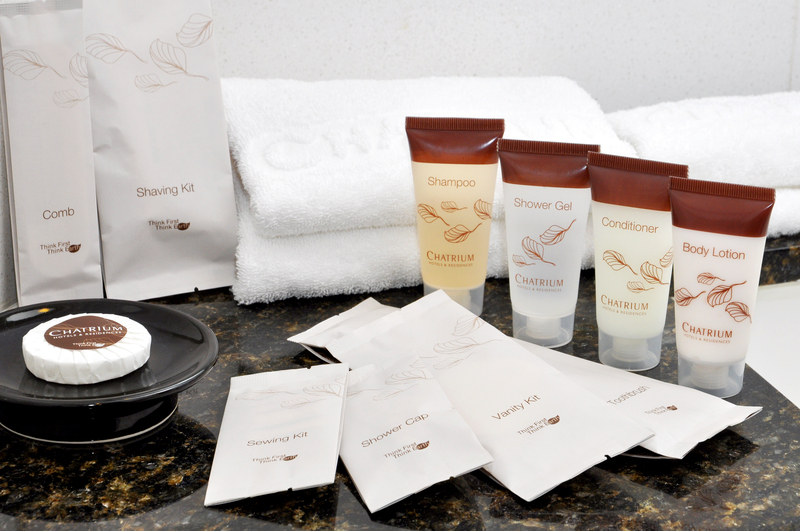 The new amenities also provide a larger size separate shampoo and conditioner and larger oral med toothpaste tube for our guests’ total convenience and have been comfort crafted by the most reputable of personal care suppliers.